Here is a funky looking cover for your laptop or netbook, the Rendezvous Project Laptop Cover, designed by Japanese designers Hibinokodue and Fujigomu. The Rendezvous Project Laptop Cover is made from 100% ozone-free polystyrene, which means it contributes zero dioxins to the environment when it is disposed of. 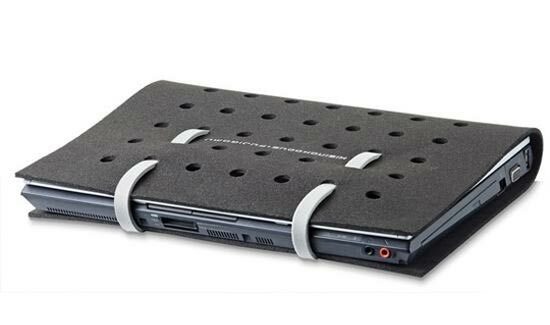 It looks pretty cool from the photos, and certainly looks a little different compared to some of the laptop cases we have seen, it comes in a choice of two sizes a 13 inch version that will take up to a 13 inch laptop and an 11 inch version that will take up to an 11 inch netbook. 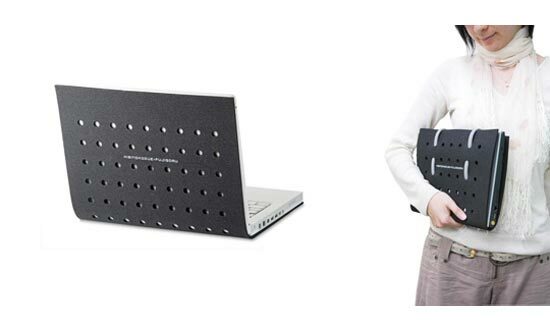 The Rendezvous Project Laptop Cover is available for $38 from Japan Trend Shop.